To check the ability and skills of the students NTS conducts the various tests. National Testing Service is an organization in Pakistan that administers academic performance evaluation tests. 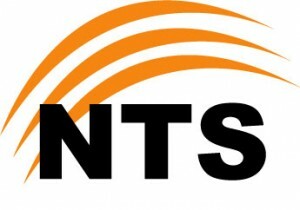 NTS is the number one testing website in Pakistan which conducts different kinds of recruitment and admission or entry tests. NTS offers two main types of tests, the National Aptitude Test (NAT) and the Graduate Assessment Test (GAT). The tests are organized in the fields of engineering, Arts and humanities, pre medical, general science and computer science. NAT is aimed at students seeking admission to colleges and universities. GAT is aimed at graduates seeking admission to postgraduate education. Students all over the world are fed up with entry tests but now entrance tests have become prerequisite for admission in many kinds of colleges and universities. It has introduced following three unique admission/ entry test of international standard for its associated universities and degree awarding institutes. NTS GAT Test, NTS GAT General Test, NTS Subject Test. Normally 100 MCQ types question are asked and each question carries one mark. A candidate has to get minimum fifty percent marks in NTS or ETEA written test to qualify it. Usually in NTS written tests five different versions of question papers are distributed among the students and the color and question of these five different versions differ from each other. Educational Test and Evaluation Agency (ETEA) conducts the entry tests for admission in different medical and engineering colleges/universities. The ETEA MCAT and ECAT consist of 200 marks. ETEA entry tests are objective type tests and you will be asked multiple choice questions in them. ETEA entry test consists of English and all optional/elective subjects of FSC. Different subject carry different marks in computer engineering like Physics-60, Chemistry-60, Computer Science-60 and English- 20. In MCAT Medical college admission test marks such as Physics- 60, Chemistry- 60, Biology-60 and English 20. First of all read all the details and instruction about the test in which you are going to appear. You must try it improve your general knowledge. Read maximum General Knowledge books. Get NTS handbook about your desired test and follow the given instruction very carefully. Serious students must start their preparation immediately after their last exam. Appear in the exam at least with 2 months of hard work and preparation. NTS & ETEA both testing agencies provide the paper pattern, format, past papers, content weight-ages and model papers for test preparation. So must first get help from these resources. You may also buy separate books on analytical skills, quantitative reasoning, verbal reasoning and on your related subjects. Practice and just practice is the key of success in all entry and admission tests, so try to solve maximum questions on the related topics of your desired test. Improve your confidence level because confident and mentally strong people can clear all kinds of tests. Try to improve your English grammar, conversation and writing skills. First read 2 to 5 articles on one topic and then write article on the same topics for improving your creative writing skills. Try to improve your both IQ and EQ level. Intelligent guessing is also an option for you. Don’t be in losing state of mind during NTS or ETEA written test. Try to improve your analytical reasoning and logical reasoning skills for all NTS & ETEA Test. You will have to improve your general English grammar, vocabulary communication and verbal skills. Buy some books analytical and quantitative reasoning if you have some time as major part of different NTS and ETEA written tests are related to analytical and quantitative reasoning. You will also be asked questions related to class, subject, post and job for which you have applied. So don’t ignore all these factors. You will have to get at least 50% marks in written test after that you may have to appear in medical and physical test before interview, so prepare yourself for all these stages. Generally 100 MCQ type questions are asked in a written test without negative marking. Never rely on a single book. Try to improve all required skills by reading maximum related books. Important Notice: At this Site GOTEST you can easily prepare all NTS Test like NAT, GAT and all recruitment test through online testing system. After attempting our test you can score more marks and higher grades in your exams.please check respective categories for your test prep.